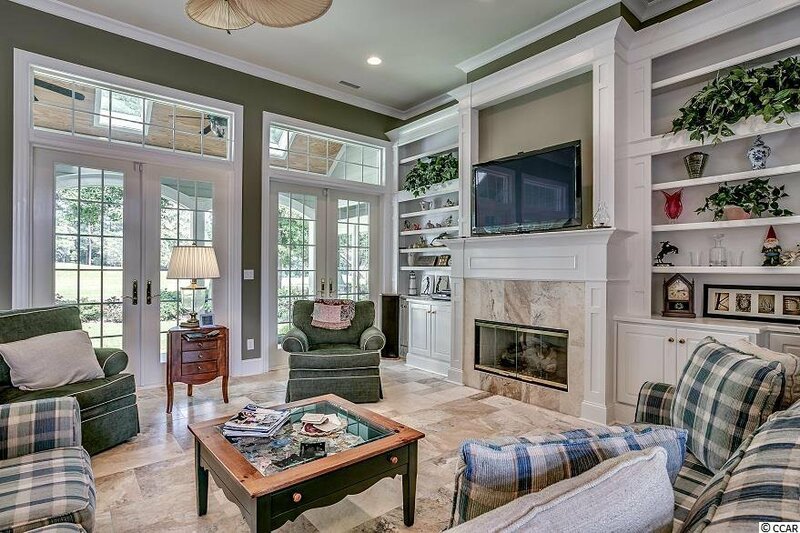 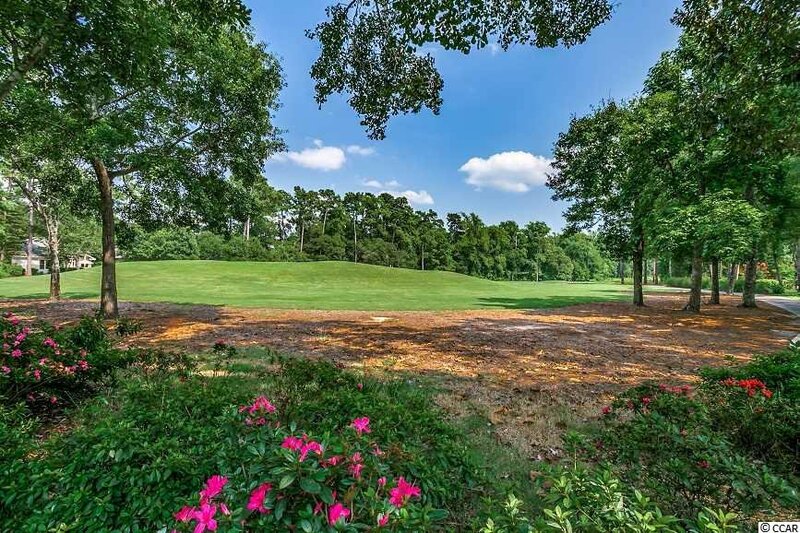 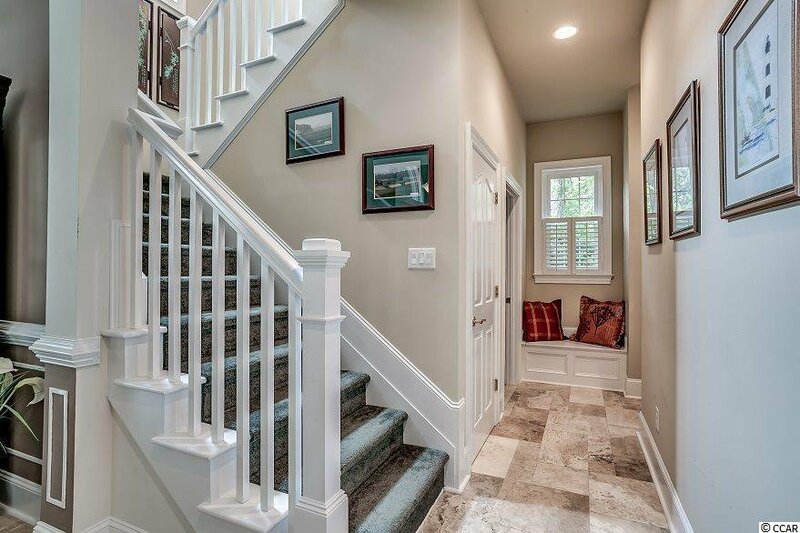 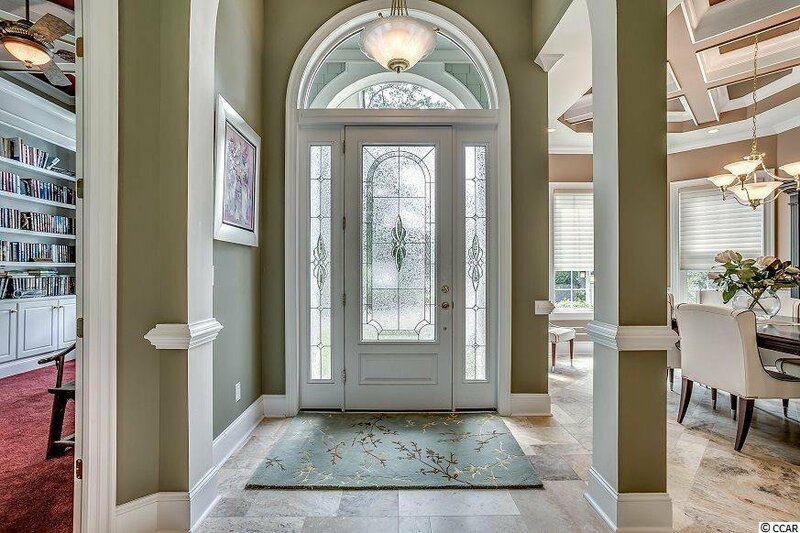 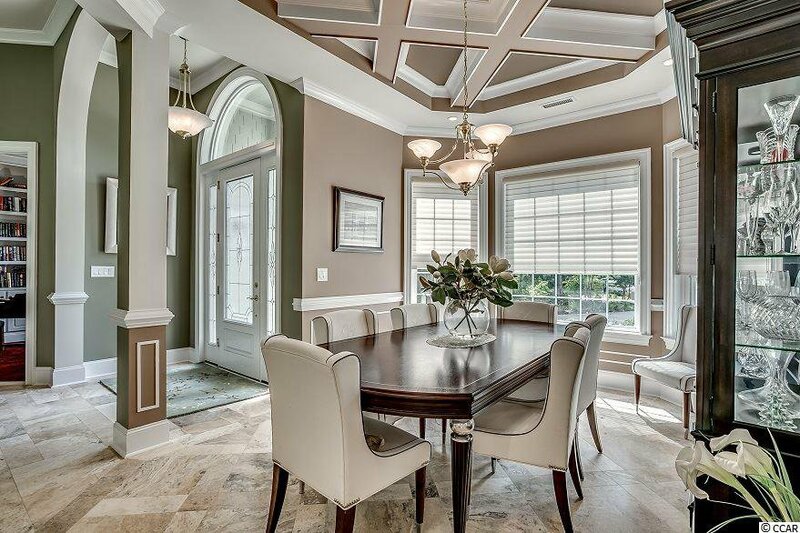 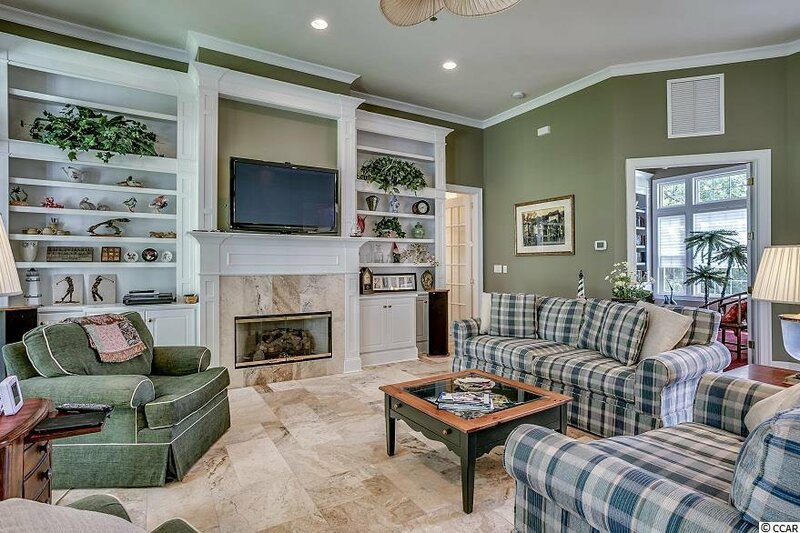 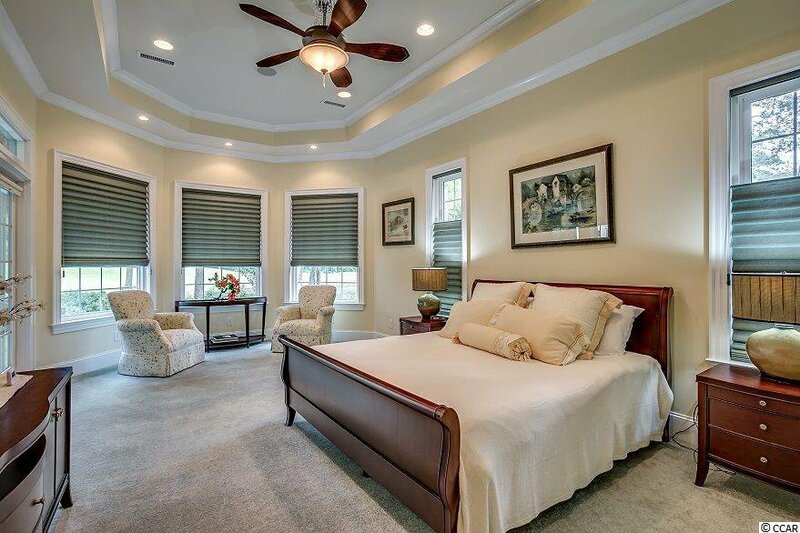 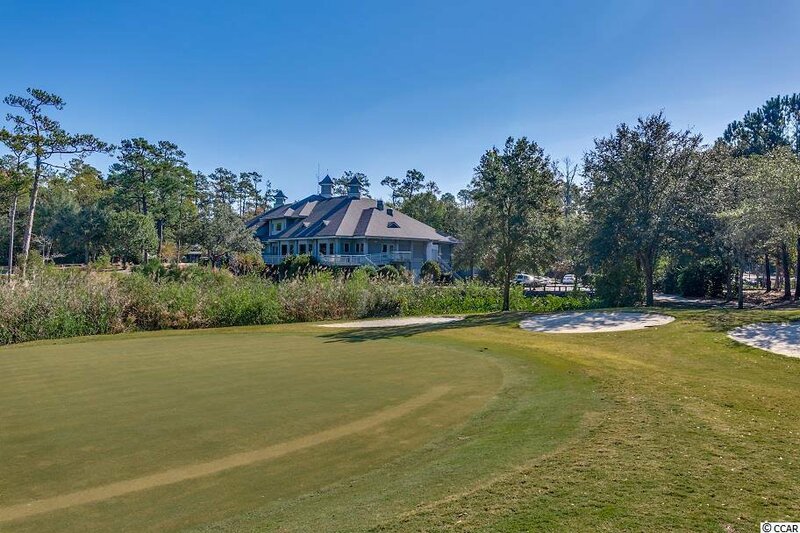 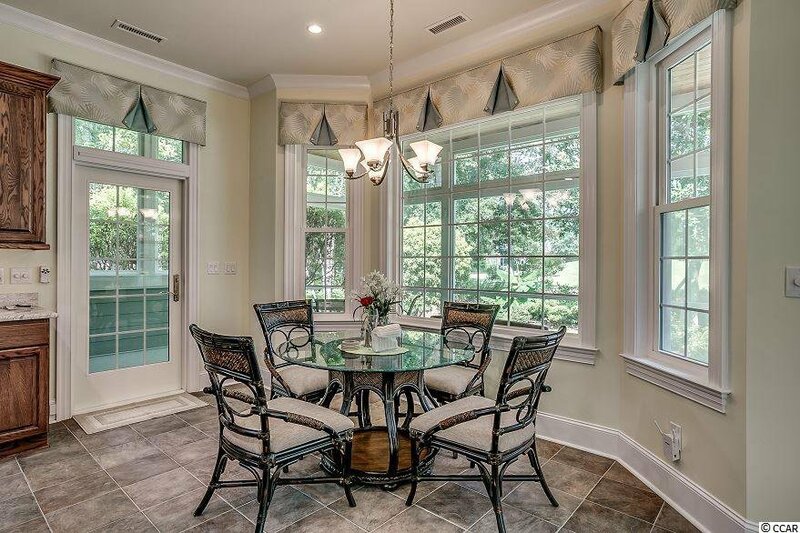 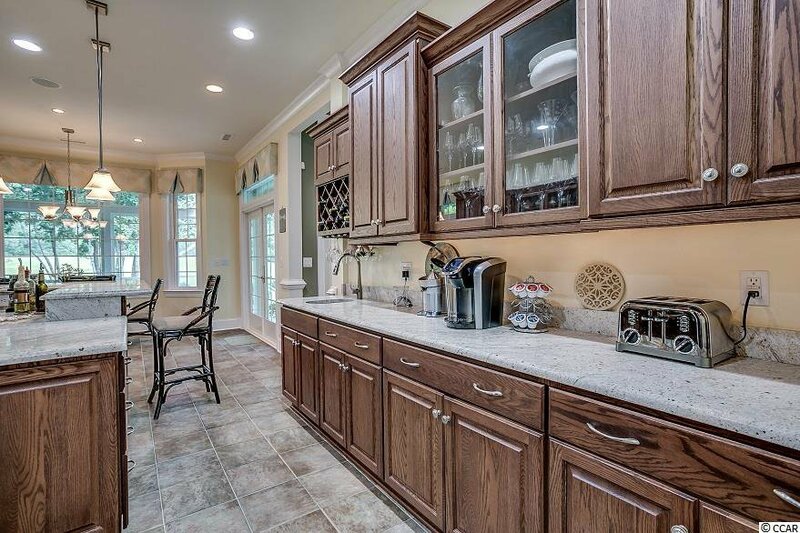 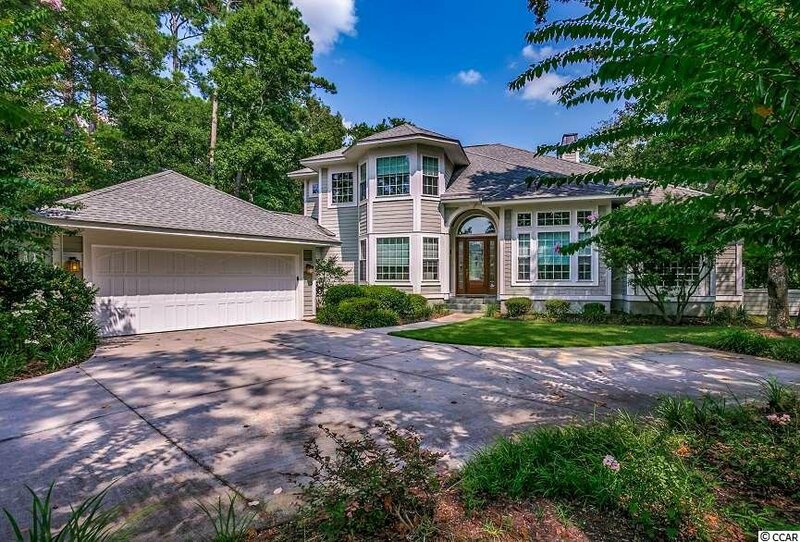 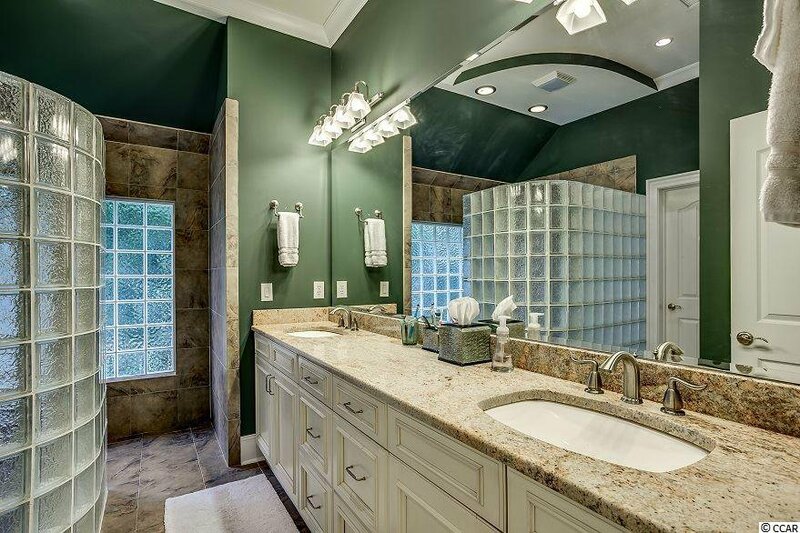 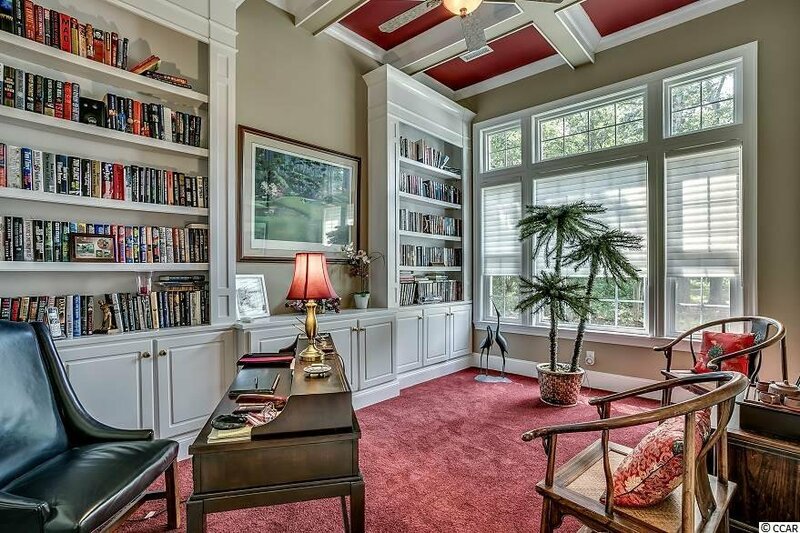 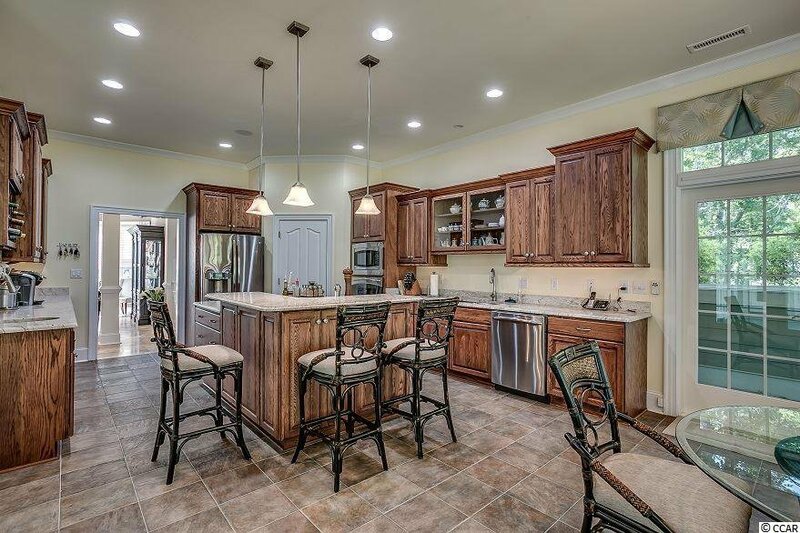 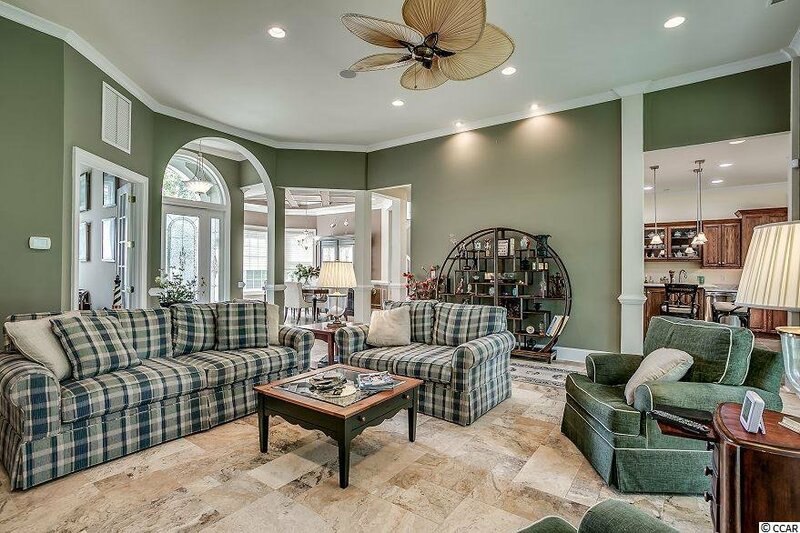 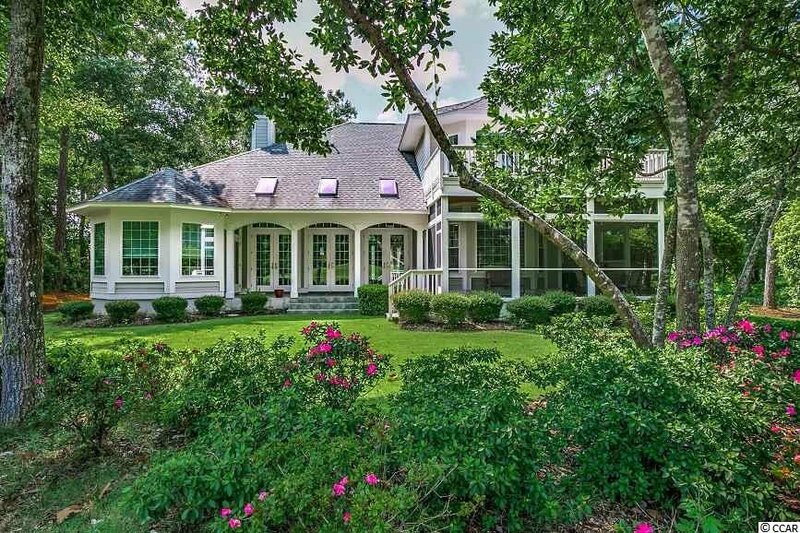 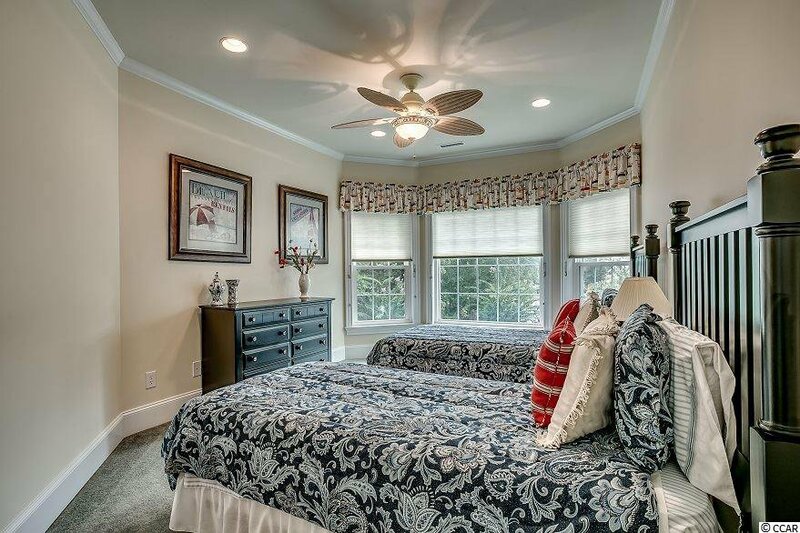 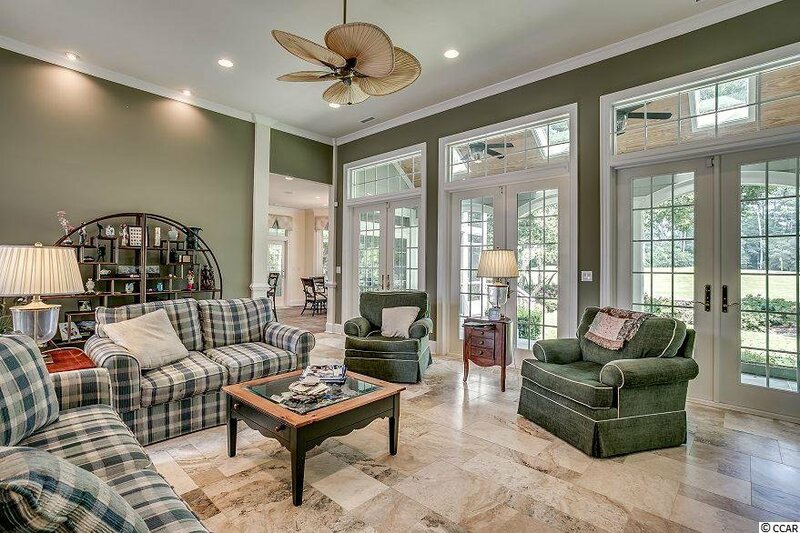 Magnificent, like-new, custom-built home bursting with upgrades, shows like a model and backs up to the prestigious Tidewater Golf Club's 7th green. 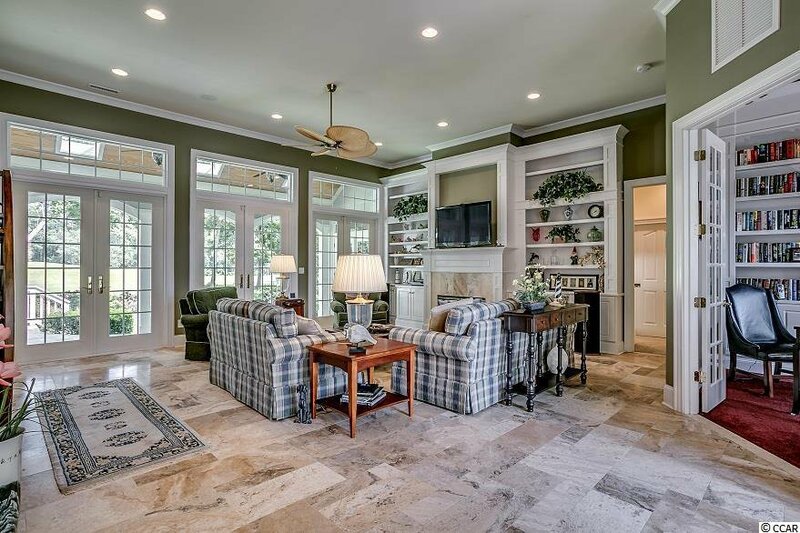 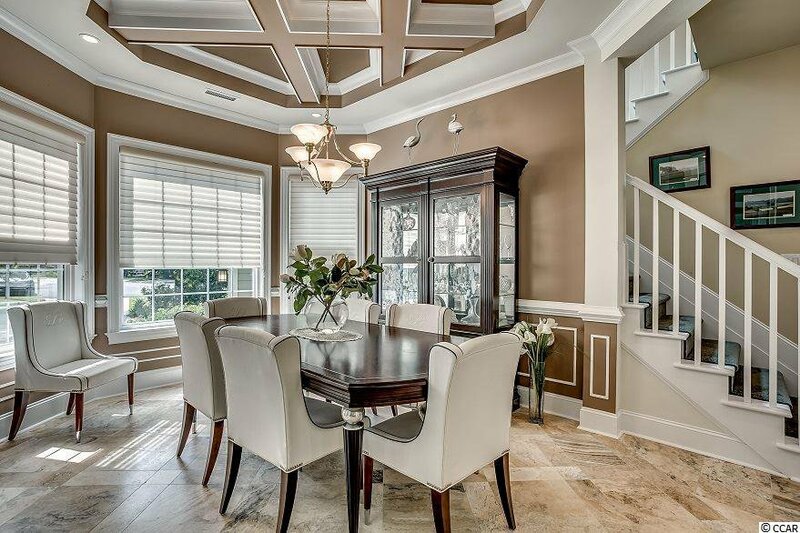 Travertine tile flows from the foyer to the formal dining room with coffered ceiling and into the great room with gas fireplace and lovely built-ins. 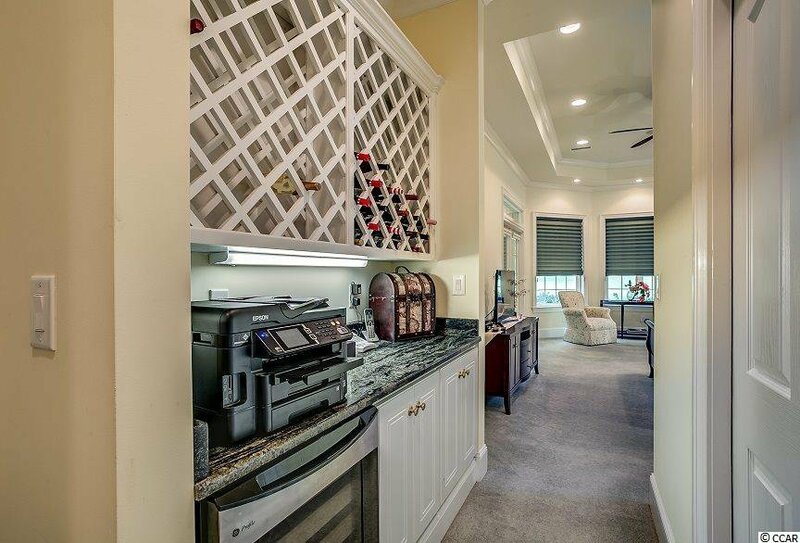 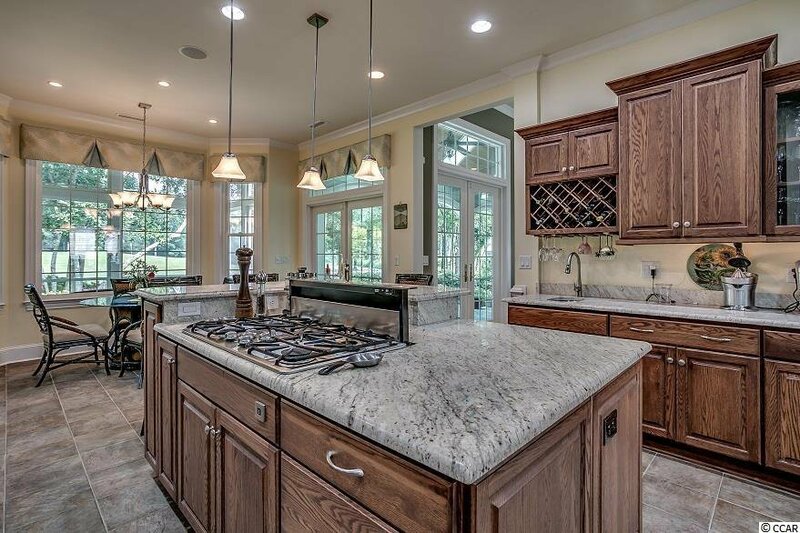 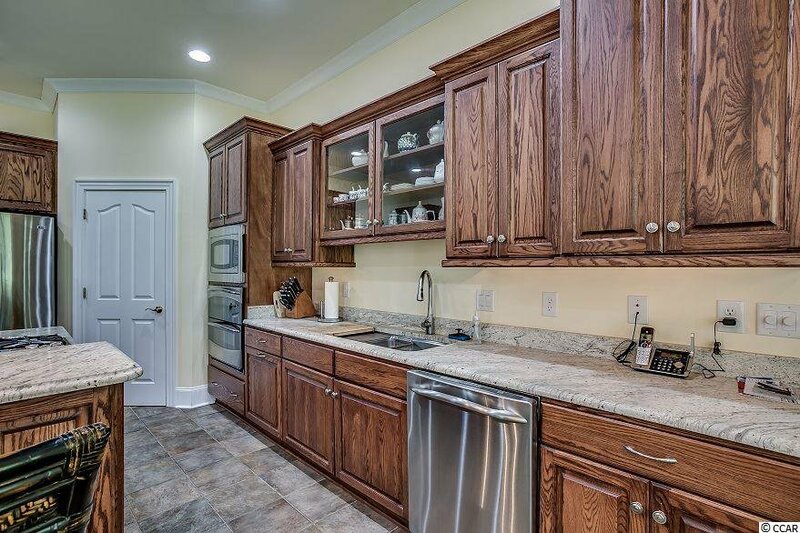 The gourmet kitchen inspires with its stunning granite, stainless steel appliances including gas range, under cabinet LED lighting, self-closing cabinets & drawers and separate vegetable sink. 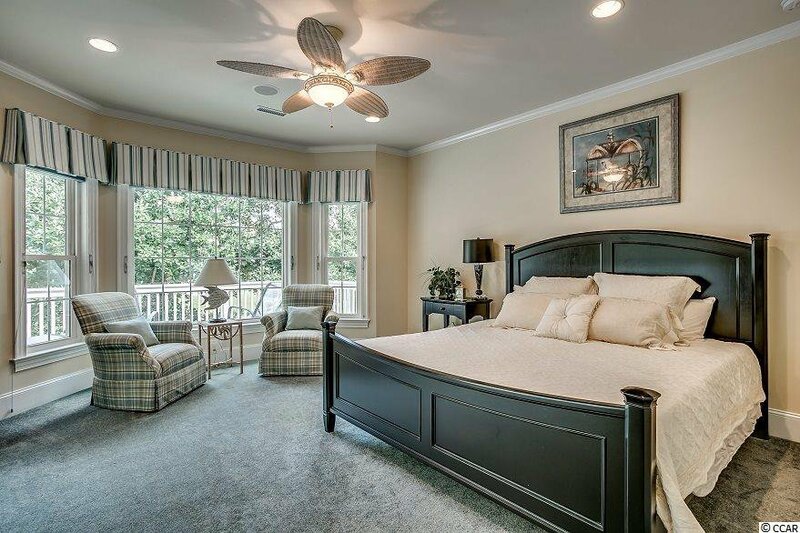 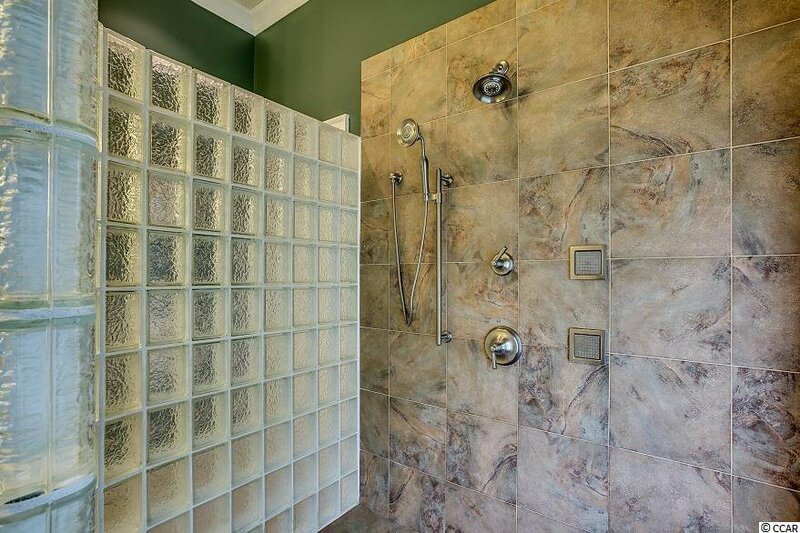 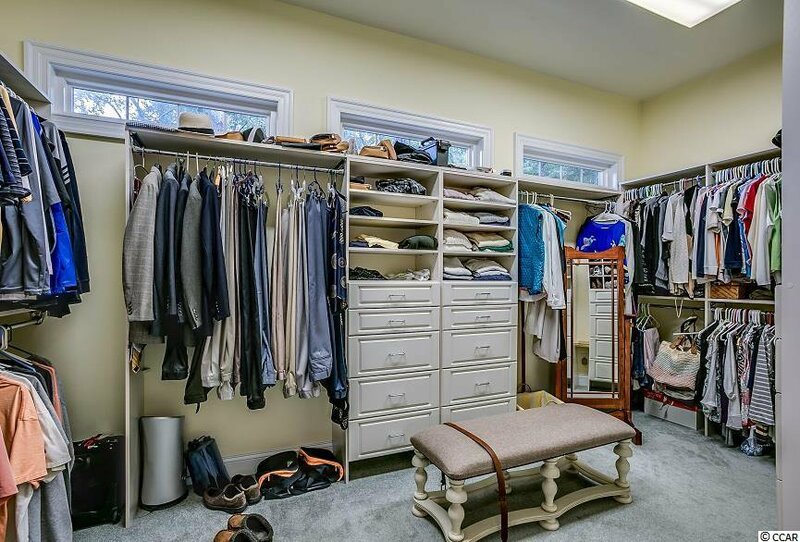 The first floor master suite comes equipped with a tray ceiling, a sprawling walk-in closet, 60-bottle wine fridge and bathroom featuring a tiled, walk-in shower. 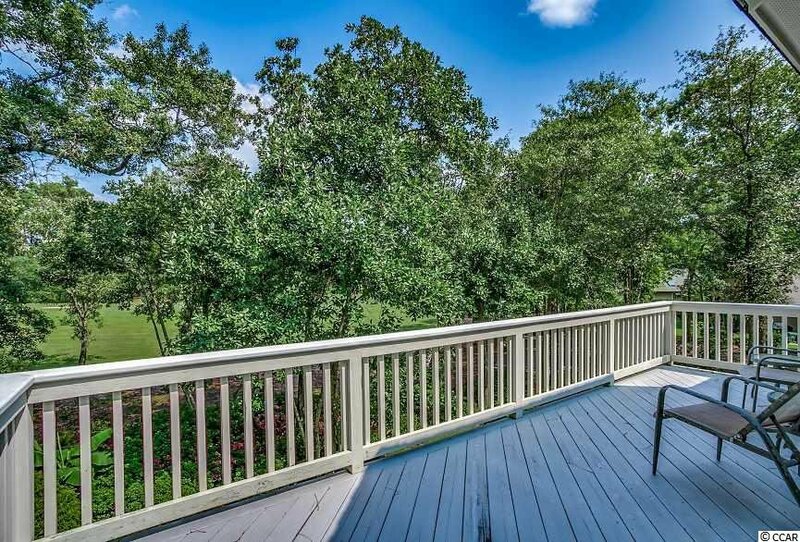 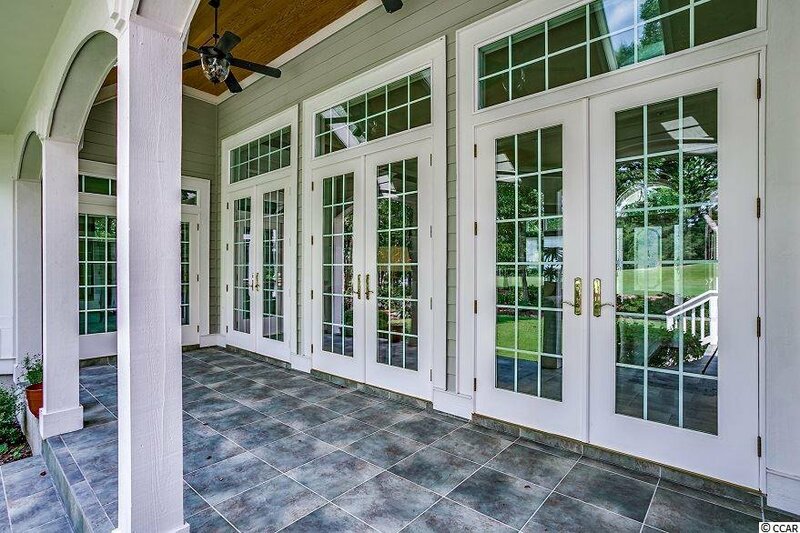 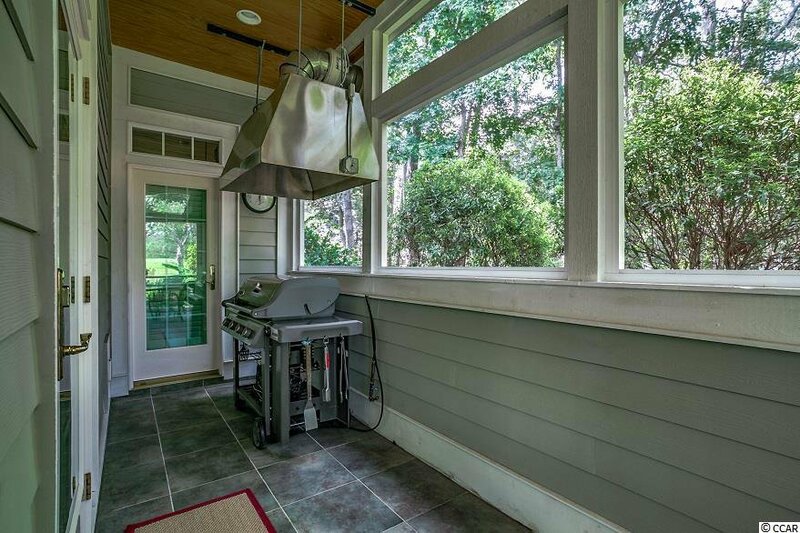 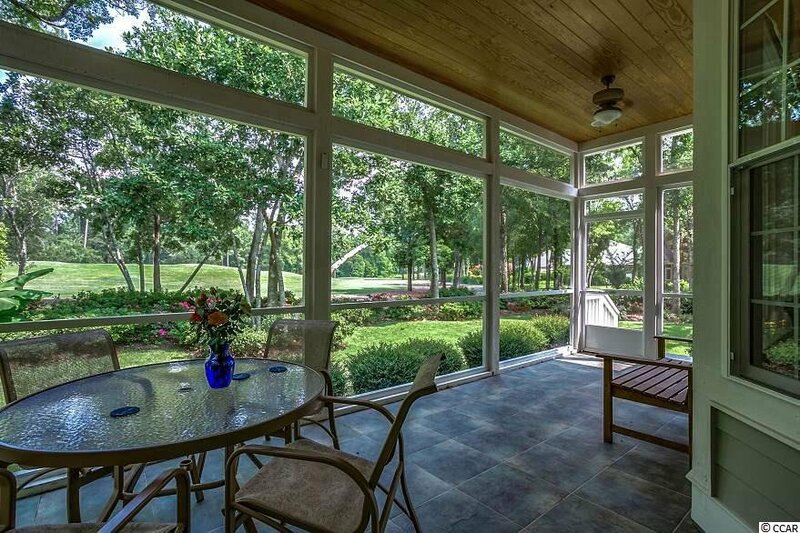 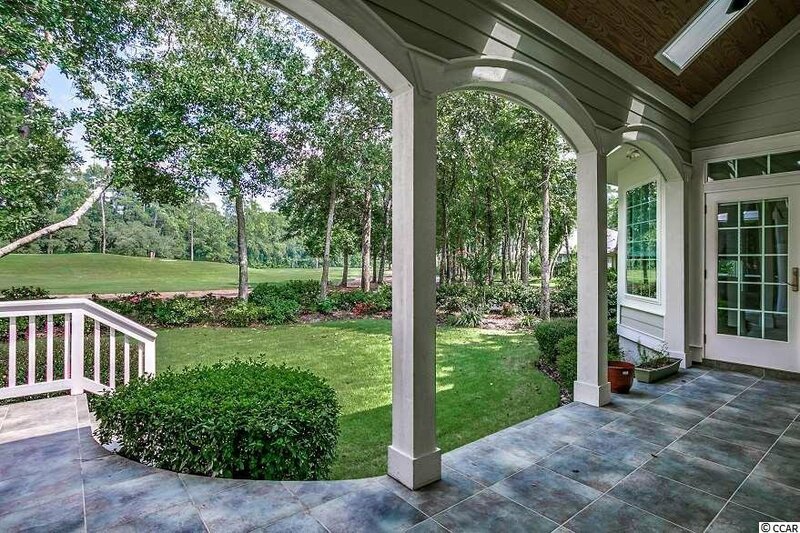 The veranda, adjacent screened porch and upper balcony offer exquisite outdoor living spaces that maximize golf course views. 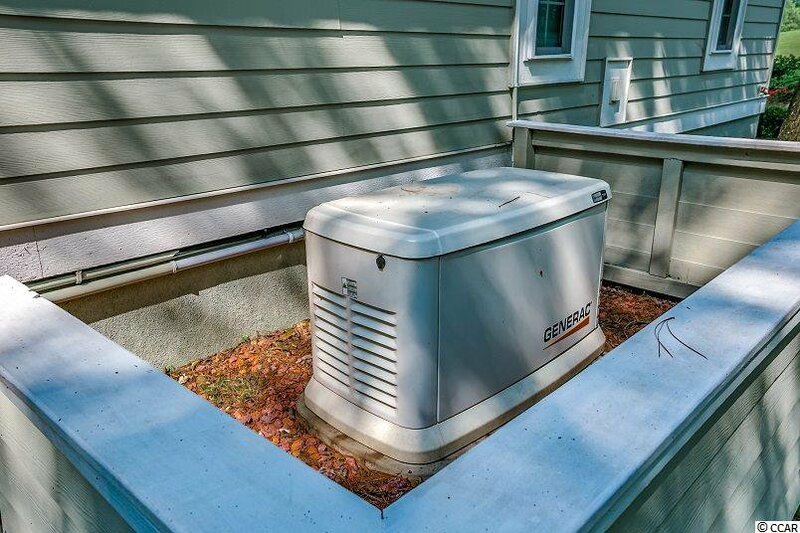 Other notable features include: 22 KW generator with auto transfer switch; irrigation system with solar sync; reflective insulation in attic; interior and exterior surround sound; 3 heat pumps (1 is dual-fuel propane); tiled 2.5-car garage; security system; abundant storage. 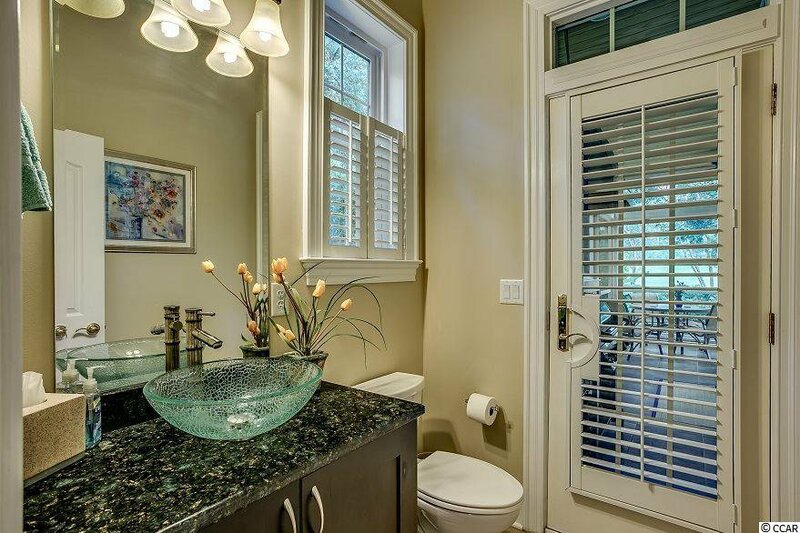 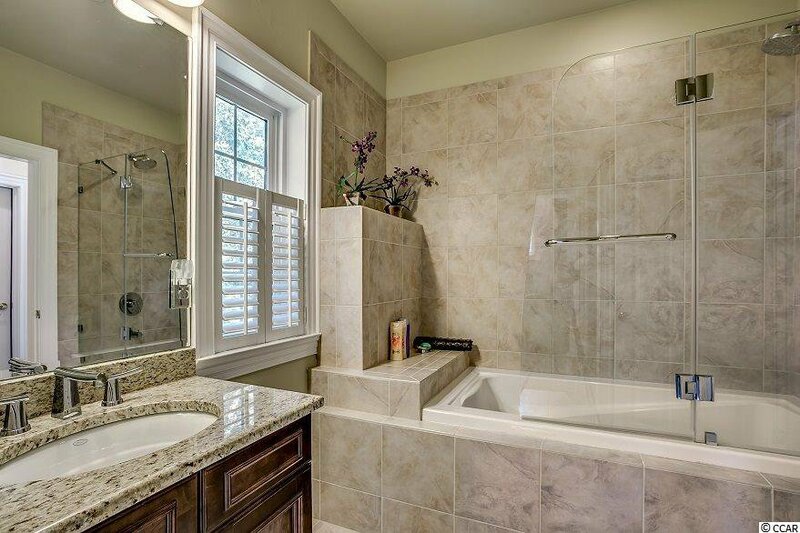 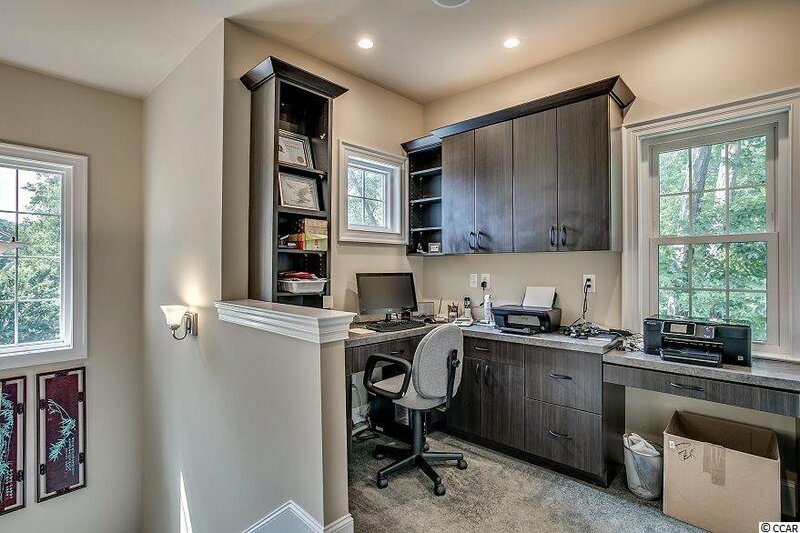 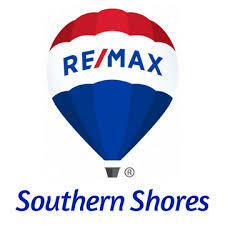 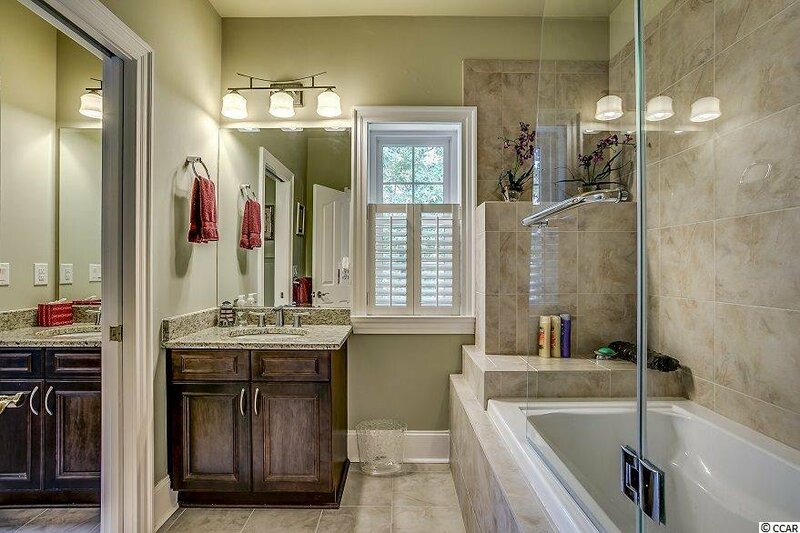 You MUST view this home in person to appreciate all that it offers. 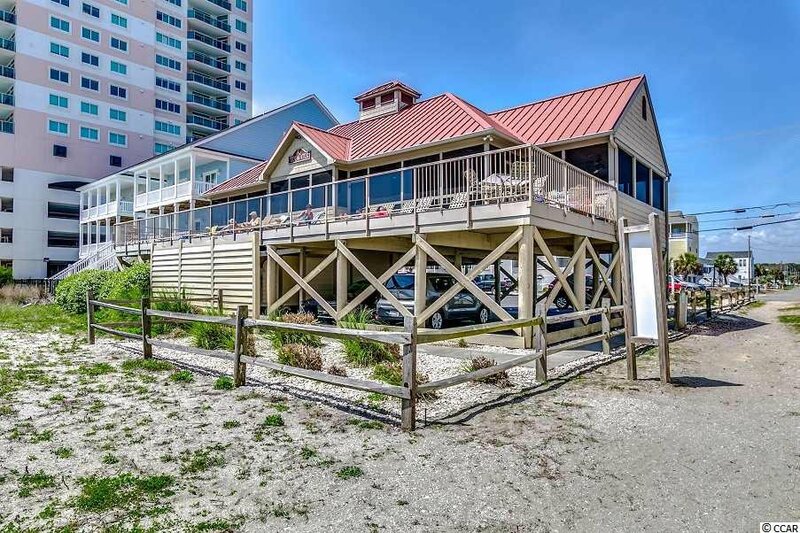 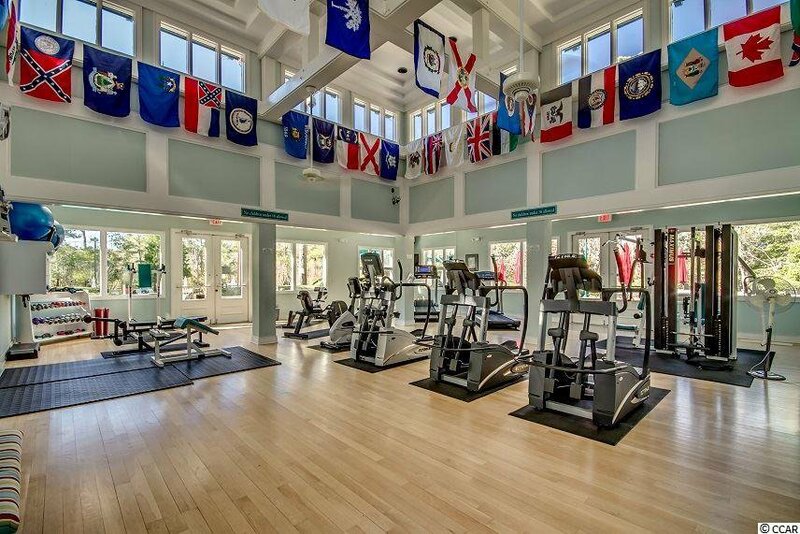 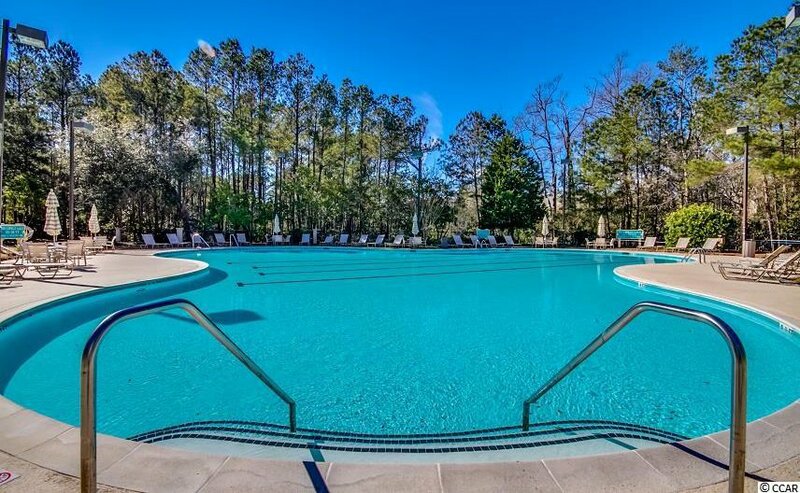 Tidewater is tucked along the Intracoastal Waterway and offers 24-hour gated security along with world-class amenities featuring a championship golf course with clubhouse & restaurant, pools, tennis courts, fitness facility, oceanfront beach cabana, and more!